Remotely situated in the north of Sweden, Faviken is a world class restaurant and six room inn about 500 miles from Stockholm. 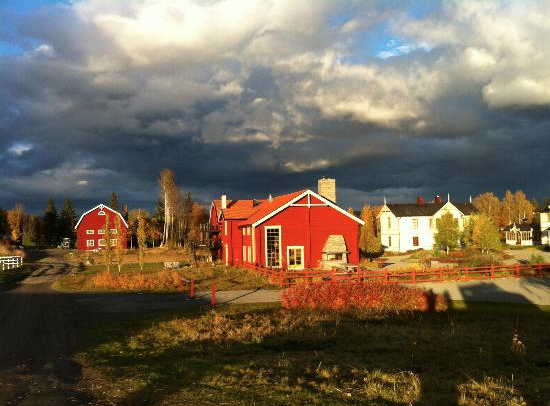 Located in the Are Municipality it is housed on the 19th century Fäviken, Egendom estate boasting the most exquisite untouched countryside and locally sourced Nordic cuisine. Close to the Are ski resort, the restaurant has just 24 seats expertly tended by head chef and visionary Magnus Nilsson, along with two additional chefs, seven staff and a gardener. If travel during northern cold winters gives you pause, there is plenty of warmth (via sun and fireplace) six months of the year.